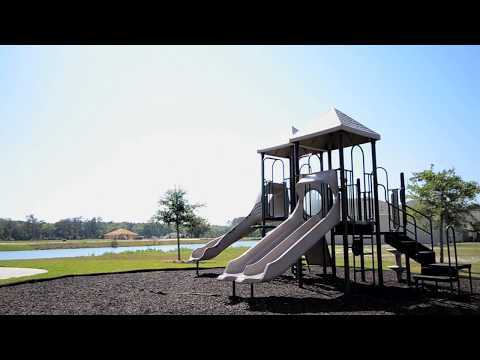 On our next stop of our Video Home Tour, we stopped by Lexington Park in the Northside area of Jacksonville. Lennar Homes has this beautiful Cordova Model w/ Bonus to tour. The home features a large 2 story layout with a total sqaure foot of 2450. This 3 bedroom, 3 bath home featured a large inviting layout, with a kitchen / dining and living area combo that is what all home owners are looking for these days to entertain their guests. This Cordova Model home also has the Bonus Room upstairs which is used as the Second Owners Suite. There are many models and options to choose from in the Lexington Park New Home Community by Lennar. For more information on pricing, incentives and availability of move in ready homes please contact us today, your Jacksonville New Homes Specialists. I would like to get pricing, incentives information and move in ready homes in Lexington Park.